The Burgundy negociant Labouré Roi has been charged with fraud. Apparently, some 500,000 bottles of its wine did not contain what the label promised. I have no idea whether the Cottin brothers who run the company are or are not guilty of the crimes of which they have been accused. Over the years I have had some very enjoyable bottles of their wine and several pleasant conversations with them. I have also encountered numerous bottles that were far from impressive examples of their appellations. Most of the latter were sold under supermarket own-labels at prices that were lower than anyone who knows anything about Burgundy would expect to pay. I remember in particular tasting an attractively priced Gevrey-Chambertin with the buyer of a major UK chain and suggesting that, to my taste, it was not only worse value than the cheaper Bourgogne Rouge and Chilean Pinot Noir he was also selling, it was actually a significantly poorer wine. “Oh I agree 100%” came his disarming reply..”I’d never drink that stuff myself, but we have customers who’d never pay the right price for Gevrey-Chambertin but want to be able to buy it. So we have to offer one”. Of course, being in the market for a regular supply of the cheapest possible example of a product – any product – that normally commands a premium price does not mean that you condone fraud. Or in the case of meat or fish, that you are turning a blind eye to abusive farming methods. Or, if we were talking about clothes or toys, the use of sweatshop or child labour. But, let’s face it, you’re certainly increasing the odds of corners having been cut somewhere. As my father used to say, you may not always get what you pay for, but you very rarely get what you don’t pay for. There really is no such thing as a free lunch and suspiciously cheap meals should be treated, well, with suspicion. All of the chatter about the Labouré Roi affair has so far inevitably been about whether fraud was committed, and whether for example that bottle of Gevrey-Chambertin had been cut with basic Bourgogne Rouge. While I wouldn’t want for a moment to condone a crime, frankly, that isn’t what bothers me. I’m actually more interested in another form of cheating the consumer: of allowing him to create a false and ultimately unsustainable impression of the nature of something and what it should cost. This is just as true of water- filled, factory-farmed poultry or pork as of unfeasibly cheaply-produced bottles of wine from a famous region. And that, in its essence is one of the fatal flaws in the traditional system of wine packaging and distribution. Everybody knows the ” right” price of their favourite brand of toothpaste, car, or whisky. Even members of the wine industry would struggle to say how much a bottle of Chablis or Chianti should cost. Everything depends, they would say, on the producer and the vintage. Which is just fine and dandy for everyone with a comprehensive knowledge of either wine region, and pretty useless to everybody else. Most normal wine drinkers still go out looking for a name they recognise at the most attractive possible price. And for as long as those names belong to appellations with vast ranges of qualities and prices and production standards, they stand a high chance of being confused, disappointed – and on occasion, defrauded. The solution has to be linked to trust in “independent” wine merchants who should have the time, energy and enthusiasm to find great value for money wines. As a Fulham supporter I like the Messi image – though i fear simply keeping Dempsey is a more urgent concern. And I agree about the value of the independents in the UK, but my focus when writing these posts is wider: I'm trying to look at the wine industry in its entirety, beyond the specifics of particular markets. And my point, which I'll expand on in subsequent posts, is that some of the philosophical foundations on which the industry stands are fundamentally flawed. Appellation Controlee was an answer to a question that may not now be in such need of a response. No customers, no whores… but there will be always clients. In different countries they have different approaches to the problem, from legalization as in Amsterdam, to “look to somewhere else” like in Spain, or execution like Sudan or Chad. How do we/the solve it in Burgundy? How I can be sure I got Grand Cru when I pay GC? It seems impossible. I just came for a whole intensive week in Burgundy with the BIVB to become Burgundy Wine Educator. We visited several domains and it is easy to see a barrel of Grand Cru 200 € close to a Village´s 40 € or Bourgogne Rouge 15 €. 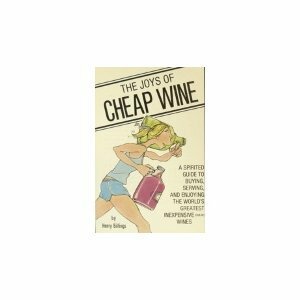 The temptation to cheat I guess is huge and easy; a little bit wine from hear to there… x 10 its price. I asked how they control that people not cheat. They answer was clear: – They trust us. A truly vigneron from Bourgogne would never mix Corton with Bourgogne Blanc. Sorry, some do. This somehow goes against EU law about traceability. I look forward to seeing that they solution come up with, to be sure we get what we pay for. Good response Esteban. Actually, I can imagine some Bourgogne Blanc improving some Corton, but not usually in the same cellar! I'm not sure that you'll ever be able to guarantee authenticity, any more than we can be sure which brushstrokes of a painting were made by the artist, and which by his assistants. What matters in the end is the integrity of the producer. Which brings me to the superiority of brands over appellations. he bigger problem is that the wine sector doesn't see the bigger picture here. We talk about educating the consumer, but what about ourselves? Your example, Robert, is perfect for illustrating the malaise. Take Joe-Pierre (a mixed name to protect the innocent…), a struggling vigneron, with a small plot of Grand cru vines and a few large plots of vin ordinaire. JP uses a small addition of vin ordinaire to 'stretch' out his Grand cru, and make a small profit each year. But his short-sightedness not only continues to put downward pressure on his prices, but CONSTANTLY ERODES THE FLOOR PRICE of all the wines made in his appellation. Consumers aren't stupid. As you pointed out, if they can find an affordable luxury whilst every other luxury producer is too expensive, they'll pay the lower price. What we need in the wine sector are producers who understand consumers' needs, and what they'll pay for. Some consumers buy on brand, some on variety, others on image, but all on the 'appropriate' price. If consumers don't understand the brand, image, variety on the label, they then only use price. Instead of fearing the 'dumbing down' of wine (which is, quite frankly, an example of scaremongering by select wine elitists), if wine producers spent as much time studying their consumers as they did their vines, they'd be commanding higher and higher prices instead of lower and lower. Clarity is the key to the message!